Last year, the last book I read was Little Women by Louisa May Alcott. It was an enjoyable read, and one of the things I remember the most was when the March sisters were talking about their “Castles in the Air”. But what is a castle in the air? You may be asking. 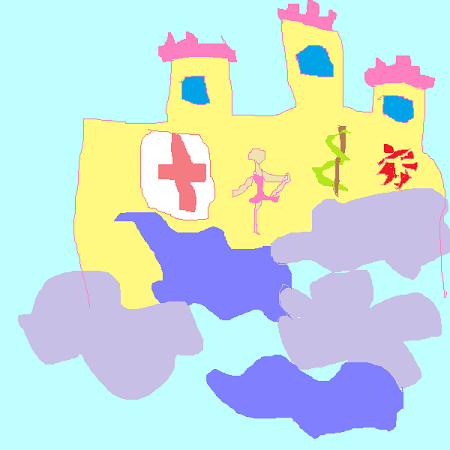 That kept me wondering about the castles of my fellow Holers, so inspired by that, our January prompt is to make a drawing or graphic that depicts your very own castle in the air! Last edited by Prof. Gustavo Flores on Sun Feb 04, 2018 3:13 am, edited 1 time in total. Last edited by Prof. Gustavo Flores on Sat Jul 07, 2018 5:22 pm, edited 1 time in total.